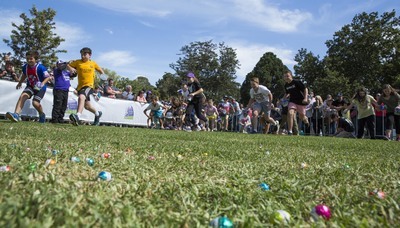 It's never too soon to plan for Easter, particularly when tickets go on sale for the legendary annual Cadbury Easter egg Hunt & Family Picnic Event at Werribee Park. 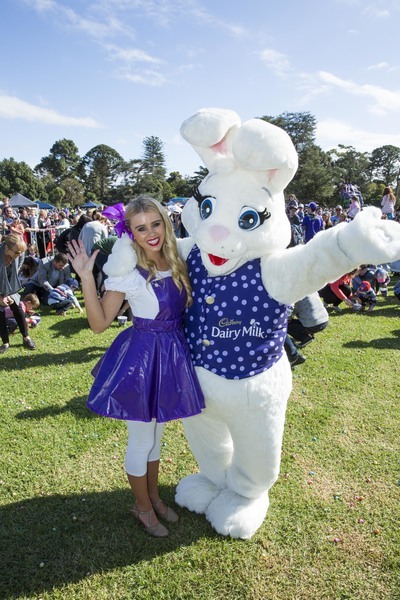 The Cadbury Easter Bunny is putting on the final touches for the 18th year of the famous Cadbury Easter Egg Hunt and Family Picnic to be held at Werribee Park on Friday 30 March. A whopping 400,000 Cadbury Easter Eggs are waiting to be scrambled for in this choc-fuelled egg-stravaganza. But it isn't all about the choc, with plenty more family thrills on offer including carnival and pony rides, face painting and arts & crafts. This unmissable family event supports a worthy cause, with proceeds going towards the Royal Children’s Hospital’s Good Friday Appeal. Since its 2001 inception, the Cadbury Easter egg Hunt has raised over $1 million dollars for The Royal Children’s Hospital. Proceeds from this year's event will specifically go towards running the hospital’s telehealth service with Cadbury donations enabling clinicians to conduct online video consultations with young patients in regional and remote areas. You are encouraged to buy tickets to the 2018 Cadbury Easter egg Hunt and Family Picnic as soon as you can, as each year this egg-citing event has repeatedly sold out. The Cadbury Easter Egg Hunt and Family Picnic will kick off at 9:30am on Friday 30 March at Werribee Park. When: 30 March 2018 from 9:30am.